The Russian Defense Ministry earlier reported that Pantsir-S1 systems have shown near 100% efficiency during the US, UK and French strike against Syria, when 71 out of 103 missiles were intercepted. Sputnik reveals why the Pantsir system is so effective. Before any air-defense system can function, it must first be able to see its target. For this purpose, the Pantsir has 3 "pairs of eyes." The first is a target acquisition radar, which can detect enemy aircraft at a range of between 32 and 45 km 360 degree vision; the second is a tracking radar, which is responsible for locking on to the target when it enters system's range of fire. It can track up to 20 targets in a 45 degree cone-shaped field of view and guide up to 4 missiles simultaneously. If that's not enough, there is a third, infrared radar that is capable of detecting, acquiring and tracking targets even in low visibility conditions. It does this fully automatically. The three radars operate at the same time and work as a system. 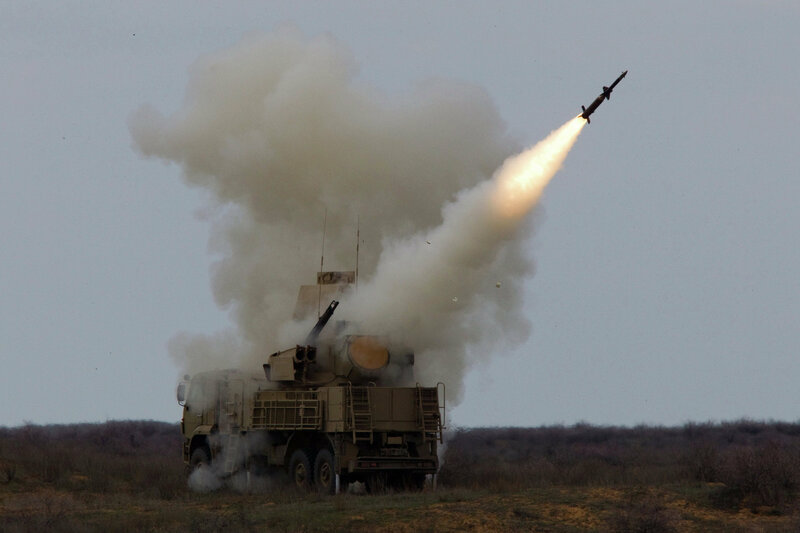 This is how the Pantsir-S1 achieves its impressive rate of engagement, up to 10 targets per minute. It takes only 4 to 6 seconds after a target is acquired to launch the first missile. For the autocannon, this is reduced to 1 to 2 seconds. The system can fire a second missile or switch targets as quickly as 1.5 seconds, which is currently quicker than any other system in the world. In addition to this, it has an anti-EW (electronic warfare) protection, which switches its operational frequencies using random numbers. Up to 6 Pantsir-S1 air defense systems can cooperate via a network using one of several modes. For example, they can operate separately using one vehicle acting as a command center, picking targets and assigning them to the other 5 vehicles. Or they can receive direct orders from a more distant command post. The systems are also capable of using a combination of both approaches — a single Pantsir operating as a command center, receiving data from distant outposts or early detection systems and then distributing data and assignments to the separate vehicles in its unit. Every Pantsir-S1 is essentially a self-sufficient system — it can act alone and still be efficient. What is more, it might even survive without protection from other army units — the Pantsir can detect and hit both sea and ground targets. Its weaponry can easily deal with troops and light armored targets. 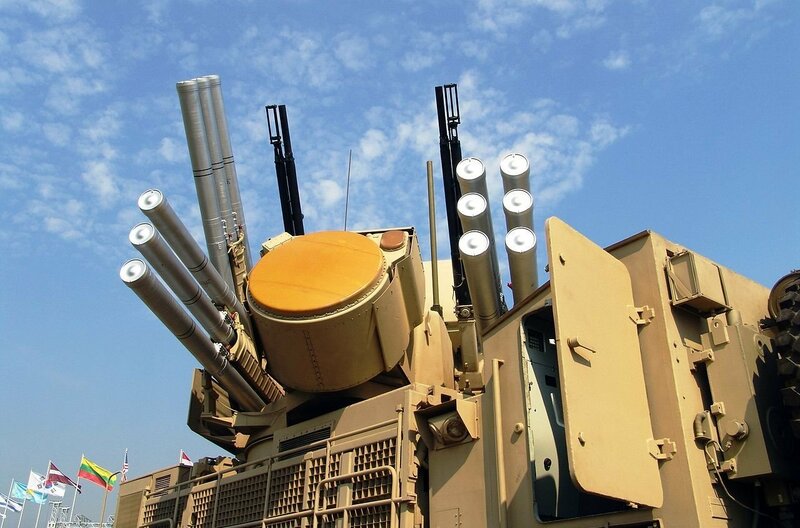 Due to its modular nature, the Pantsir-S1 system can be installed on different platforms. Currently, 6 chassis have been created to fit the system — 4 wheeled and 2 full-track. This allows it to be adapted to different conditions on the ground, making it a lucrative choice for countries all over the world that are interested in buying a reliable air defense system. In addition, the Pantsir can be installed on stationary platforms — on board warships, for example.